Reason there for is I always use hoppie network weather but ever restart of the bus I've to set the source again and again. New clean install of the bus was done yesterday. Could you explain where the setting will be stored? (Folder and file) So I can check if there is anything wrong with my read and write permissions. Hi guys, i have the same, it has been reported and was named by Staff as "known issue". Regards. After every simulator restart it looks like this ! Make sure you use 1.2.2.0. What do you mean by that? Your problem is solved and the selected weather source now is saved? My first part of the sentence stated "Still the same issue after restart sim"
Means NO the update didn't solve the issue. Weather source is NOT saved. Hi, by me it also resets after sim restart. 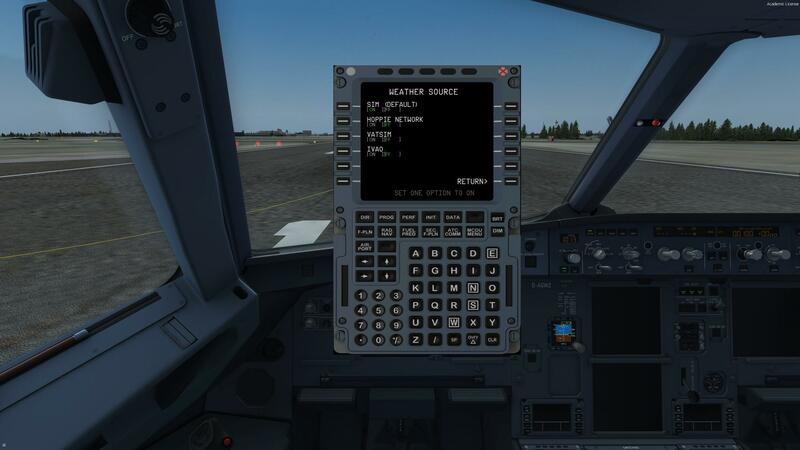 I've also noticed that when i choose one of the weather source (i don't use in sim weather), then at AOC page when i recall any weather, it shows me latest current METAR, thats fine. Then after eg. 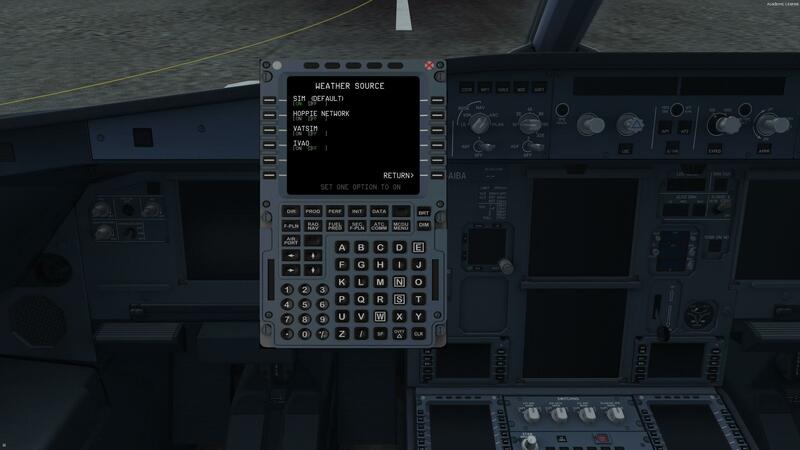 after one hour, when i want to check changes, it recalls everytime the same METAR. Regards. Additionally please tell me if all the other MCDU3 settings you made are saved.......e.g. the problem is just with the weather source. After a lot of investigation with ARTOX67 it is now clear that the problem was based on various not up-to-date files used in the installer. Users having the same issue please "update" (using experimental updating) your system.